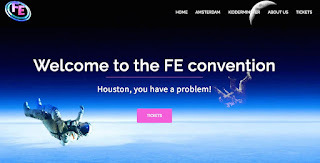 I’m very happy to announce my involvement in the Flat Earth Europe convention, happening in Amsterdam in late September. First off, I will not be a speaker at this event. This is a subject area which interests me greatly, but I’m very far from an expert on it, so I prefer to absorb what other, more studied researchers have to offer. I will be DJing a conscious music set, similar to the one I just dropped at Anarchapulco, at the opening night party on the Friday. Secondly, this is not a get-together for ‘flat earthers’ to socialise and all pat each other on the back. As the schedule indicates, a major part of the programme will involve professional, respectful debate between both heliocentrists and geocentrists, each putting forward their own points of view. This is no “CIA psy-op,” but rather a forum for open-minded discussion and reflection … which is what, as genuine seekers of truth and rejecters of lies and deception, we all say we want, right? Speakers announced so far include Jeran Campanella, Roxanne Glen, Iru Landucci and Nathan Oakley, with more to be added soon. Patricia Steere is to act as MC for the open mic session, with comedy from Martin Liedtke. Hosts are Gary John and Didi Vann. Full details are on the URL link provided. 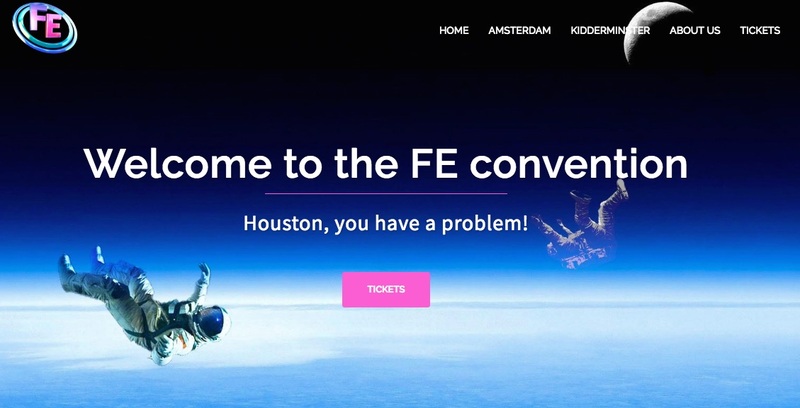 The Amsterdam event is preceded a couple of weeks earlier by another convention, this one held in Kidderminster, England. Full details of that one are on this same site too. Listen to "Mark Devlin and Ole Dammegard with Jason Goodman, at Anarchapulco 2019" on Spreaker. I recorded an episode of Crowdsource The Truth while at Anarcapulco 2019, alongside Ole Dammegard, and show host Jason Goodman. The conversation covered aspects of my work on the music industry and social engineering, and Ole’s on state-sponsored “terror” events, and the areas of common crossover between the two. 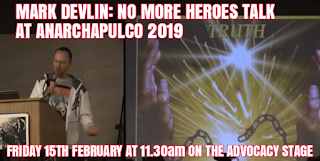 Listen to "Mark Devlin at Anarchapulco Pool Party, Mexico, Sunday 17/2/19" on Spreaker. The second of my two four-hour moonlit poolside sets at Anarchapulco 2019, in Acapulco, Mexico, this one from the closing party on the Sunday. High-powered message music played to a crowd of anarchists, libertarians and free thinkers - an all-too-rare demographic! The selection goes from lyrically-conscious hip-hop, through a selection of reggae, into other more lively party styles. Be sure to check out the first set, from the Friday of the conference, for more. Listen to "Mark Devlin at Anarchapulco Pool Party, Mexico, Friday 15/2/19" on Spreaker. This is the first of my two four-hour moonlit poolside sets at Anarchapulco 2019, in Acapulco, Mexico, playing high-powered message music to a crowd of anarchists, libertarians and free thinkers - an all-too-rare demographic! The selection goes from lyrically-conscious hip-hop, through to soulful disco and uplifting soulful house sounds over the course of the four hours. A crazy party guy leaps on the mic to hype up the crowd midway. Be sure to check out my second set, from the Sunday of the conference, for more. Greatly looking forward to breaking out to Mexico for Anarchapulco next week. 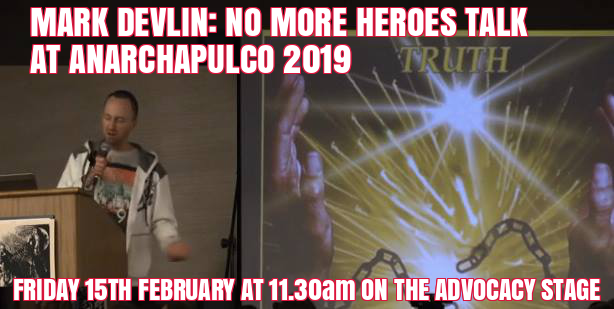 I'll be delivering my No More Heroes talk on the Advocacy Stage at 11.30am on Friday 15th February. Later that evening, I'll be dropping a soulful and uplifting DJ set at the Pool Party, then back again to spin at the closing night party on Sunday 17th. It brings me no pleasure to release this. Facing the truth that someone you once looked up to is just another Lifetime Actor is always an uncomfortable process. But this is long overdue, and nobody else was ever going to do it. 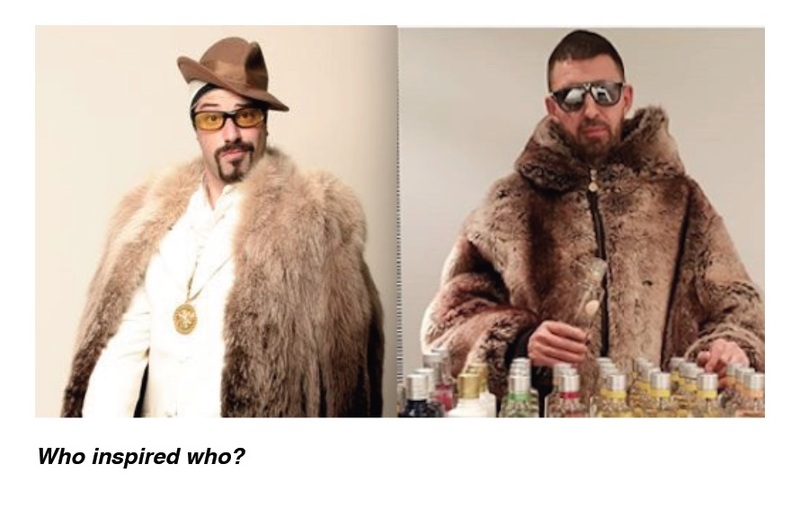 So here is my 9,000-word account of what I now believe to be the true nature of Tim Westwood, and the agendas for which he’s always been used. This is the first in an occasional series of articles I plan to put out this year, exposing many A-list, household-name DJs for the system-servers they really are.